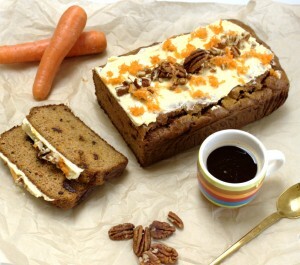 Carrot cake - A delicious gulit-free, HEALTHY dessert! 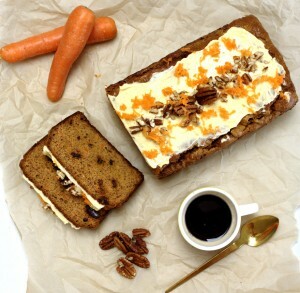 I have had serious carrot cake cravings the last few months. I’ve always had more of a savoury rather than sweet palate. 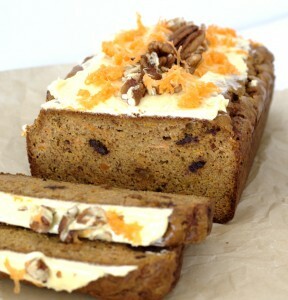 Carrot cake has always been one of my favourite desserts to have with a cup of tea on a rainy day. It’s not overly sweet and I could nearly convince myself it was healthy with one of my daily vegetable portions too! I experimented a lot with this recipe until I perfected it just the way I like it. 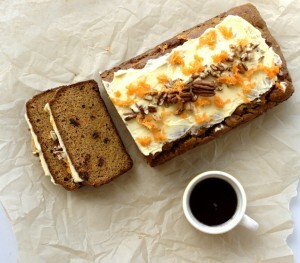 A few trial runs went seriously wrong but led me to what I think is now a really good alternative to a “real” gluten and sugar-laden carrot cake version. I decided to sweeten the cake with dates only although I have used raw honey in the icing. I love raw honey but in this recipe, dates give the exact consistency I was looking for. This is my first time posting a cake recipe including butter icing. I was so happy how it worked out both visually and in taste. As always, use the best quality ingredients you can. The butter should ideally be grassfed: I use Kerrygold or Avonmore unsalted. Use organic carrots if possible. Regarding the dates, I have tried so many different types now and trust me medjool dates are the only way to go. They may be pricey but are so worth it. I would rather buy medjool dates less often than other types all of the time! All of my recipes call for blanched almond flour which is different to ground almonds. You’ll find ground almonds in your local supermarkets but they are not ground finely enough to use as flour. I buy my almond flour online and it is as finely ground and soft as regular flour. This really makes a difference to your baked goods! Before you begin your prep for this recipe, cut the medjool dates in half and pit them. Soak them in a bowl of water for at least thirty minutes. A delicious carrot cake with icing all free from: gluten, grains and refined sugar. Paleo* and Specific Carbohydrate Diet-friendly. In one bowl, mix the blanched almond flour, spices, bicarb and salt. Drain the water from the dates and process 4 of them in a powerful blender until a smooth paste forms. Chop the remaining two dates roughly and set aside. Add the eggs, butter and almond butter to the blender and blend with the date paste until well combined. Combine the wet ingredients from the blender with the flour mixture in the bowl and mix thoroughly. Mix in the grated carrots and the chopped date pieces. Stir well. Pour the cake batter into a loaf tin lined with a parchment cake liner or alternatively grease the dish very well with melted butter. Bake for 35-40 minutes until an inserted skewer comes out clean. Allow the cake to cool completely before icing. Place the bowl you will be using to whip the icing in the fridge for ten minutes or more to chill. Using an electric mixer or hand whisk, whisk the butter first for roughly five minutes until it becomes soft. Add the remaining icing ingredients and continue to whisk for a further few minutes until well combined. Keep the icing in the fridge until the cake is fully cool. Take the icing out of the fridge a few minutes in advance as it can be hard to spread straight from the fridge. Decorate the cake with the icing first and some chopped nuts, if desired. * Omit the icing for Paleo and dairy-free.